Chiropractic (from the Greek meaning treatment by hand) is a health care profession concerned with the diagnosis, treatment and prevention of disorders of the neuromusculoskeletal system and the effects of these disorders in general health. There is an emphasis on manual techniques including joint adjustment and/or manipulation with a particular focus on joint dysfunction and the corresponding soft tissue response. The relationship between the structure, especially of the spine and musculoskeletal system and function especially as coordinated by the nervous system is essential to the professions approach to treatment, health and well being. Research demonstrates that the primary reasons that patients consult chiropractors are back pain (approximately 60%) other musculoskeletal pain such as neck pain, shoulder, extremities and arthritis pain (20%) and headaches including migraine (10%). Almost 1 in 10 (10%) present with a wide variety of conditions caused, aggravated or mimicked by neuromusculoskeletal disorder (e.g. dysmenorrhea, respiratory disorders (e.g. asthma) and digestive dysfunctions). Your spine functions to support your body and also protects your spinal cord which is the key pathway for your central nervous system .Your nervous system controls the function of every cell, organ tissue and system of your body. The spine consists of 5 parts, cervical, thoracic, lumbar, sacrum and coccyx. 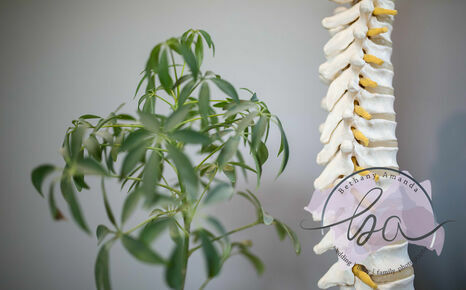 The 24 movable vertebra, comprising the cervical thoracic and lumbar segments, provide protection for the spinal cord and nerves, and serve as a stable attachment point for muscles ,ligaments and other soft tissue are connected together to facilitate movement and support. Doctors of Chiropractic are specially trained in the diagnosis and treatment of the vertebral subluxation complex. The vertebral subluxation complex is felt to be caused by trauma (falls, slips, injuries) and or by the physical, chemical and emotional stressors of daily life. These can cause abnormal movement or position of the spinal bones which can result in “sprained joints” which cause local pain and irritation to surrounding joints muscles and nerves. The nerve irritation causes different symptoms depending upon what part of the nerve is irritated. If it is the sensory branch it may result in pain, numbness, tingling or funny sensations wherever that nerve goes (e.g. sciatica). If it is the motor or muscle branch you may not have any pain but rather weak, spastic or twitchy muscles. If it is the branch going to organs or other cells chiropractors believe that this may cause other health effects. The primary procedure for chiropractic treatment is termed an adjustment and can involve joints of the spine and /or the extremities. The goal of which is to restore proper movement to joints which have become stuck on fixated causing nerve irritation. Typically this consists of a gentle, quick thrust to move deliver pressure thus improving mobility and allowing the joints muscles and nerves to function properly. Additional procedures such as muscle and soft tissue rehabilitation particularly myofascial work, therapeutic exercise, nutritional, postural, local ice/heat, and lifestyle advice are utilized to round out a comprehensive approach to neuromusculoskeletal disorders. Dozens of research studies have documented the safety and effectiveness of chiropractic treatment. There are numerous studies, scientific publications and consensus group statements in the worldwide scientific literature that substantiate the important role of chiropractic care in back pain, neck pain and headaches. In fact, in many cases there is more evidence to support chiropractic care than many common medical procedures for these same complaints. Chiropractic is the largest Complementary and Alternative Medicine (CAM) profession in North America. Millions of chiropractic adjustments are safely deliver to satisfied patients every day. If it is determined that your health issues are amenable to chiropractic care a follow-up visit will be arranged or if not, alternative treatment recommendations, investigations or referral to other appropriate health care providers will be suggested. 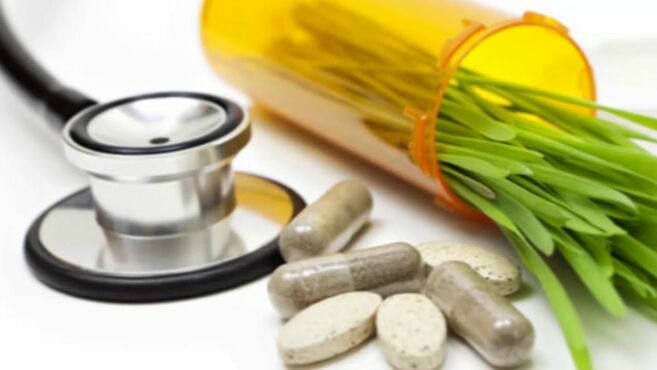 This visit will entail a full report of findings explaining the most likely cause of your health condition, based upon the clinician’s clinical impressions, and the type of care required. This may include spinal manipulation (adjustment) or mobilization, myofascial work, soft tissue work, exercise therapy and/ or many other rehabilitative approaches. Lifestyle and health factors unique to your case will be presented. An initial treatment schedule will be reviewed as well as a follow-up re-examination. The primary focus is to reduce or eliminate your most obvious symptoms and may initially be daily or 3 times per week but decreased as your condition improves. When your symptoms diminish the objective is to stabilize spinal function and promote a more complete healing. Myofascial tissues are relieved and muscles and soft tissues are strengthened helping to prevent a relapse. Visit frequency is typically twice weekly to weekly or longer. Once maximum restoration of spinal function has been achieved many patients choose to enjoy regular chiropractic visits. This type of care, like regular dental check-ups and cleaning, helps by managing problems, detecting ongoing issues and dealing with the stressors of daily living. This type of care is a choice that individuals make and depends upon their own personal health care goals and needs. The frequency of care varies between every few weeks and every few months depending upon an individual’s day to day postural, occupational and other stressors that they encounter.